For the longest time, libraries were the go-to place for research (whether it was grade school or PhD.-related) or digging deep to learn about a particular subject such as how to start a business or the mystery that is Stonehenge. However, the advent of technology has redefined the premise of a library. 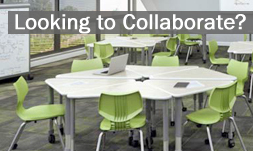 Technology has provided a means for communication and indirectly encouraged collaboration which means libraries should follow suite by adapting their environments to accommodate these themes and go beyond simply offering books to check out. 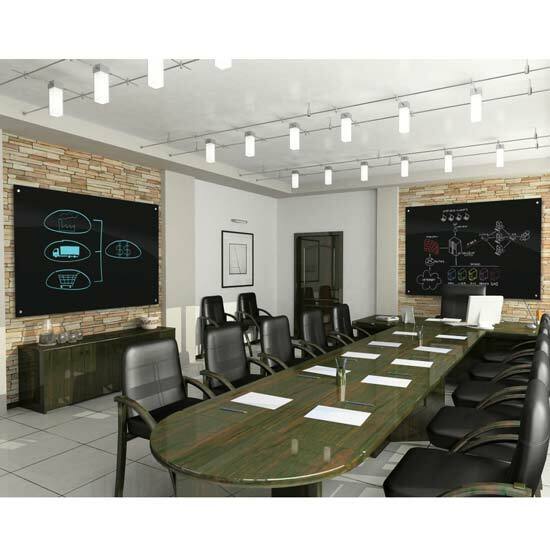 Utilizing the right furniture to incorporate emerging technology will allow your students and customers to better tackle the daunting task of research while enabling easier communication and efficient collaboration. Students have always considered libraries to be an invaluable place to focus, study, and get work done. Whether it’s studying to prepare for mid-term exams or researching sources for a final semester paper, a spacious and quiet place to set up shop is paramount for student success. 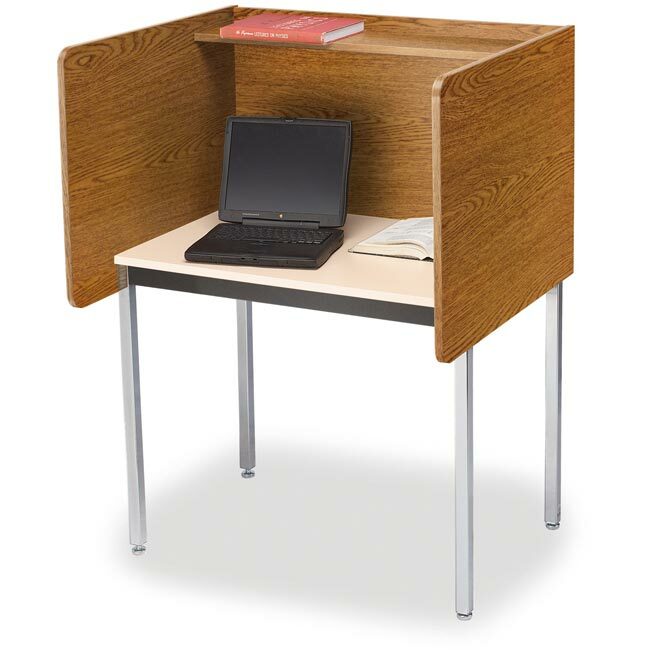 The Maximum Privacy Carrell by Smith Carrel allows you to study in peace with ample space for laptops, textbooks and snacks. Many libraries today also have small rooms that can be booked for small group study sessions and for those individuals who absolutely want zero outside distractions. 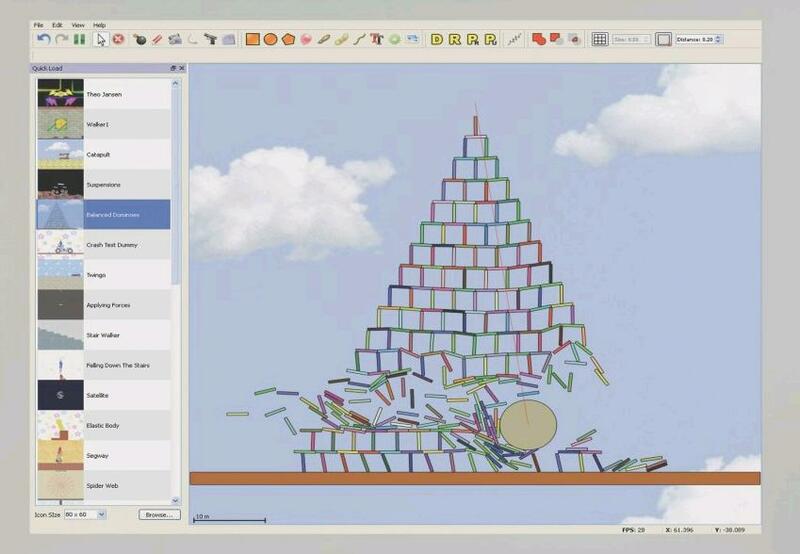 Generating ideas can be better illustrated with dry erase boards. However, chalkboards and dry-erase boards often become neglected due to budgetary constraints which means if you’re looking to overhaul your study room resources for the long-term, a modern glass dry erase board is definitely worth the investment. The Aria Magnetic Low Profile Glassboard by Ghent not only provides ample space to visualize ideas, the selection of board colors helps students focus while the glass feature helps keep the board from developing ghost marks and streaks from cleaning. The concept of teleconferencing is critical now more than ever. Communicating via GoToMeeting, Skype, and WhatsApp are no longer limited to conference calls during business hours. It’s also not uncommon to find one-on-one or group tutoring sessions conducted via online video conference calls. Libraries can accommodate students who need real-time group communication by adding multimedia tables to their study rooms. 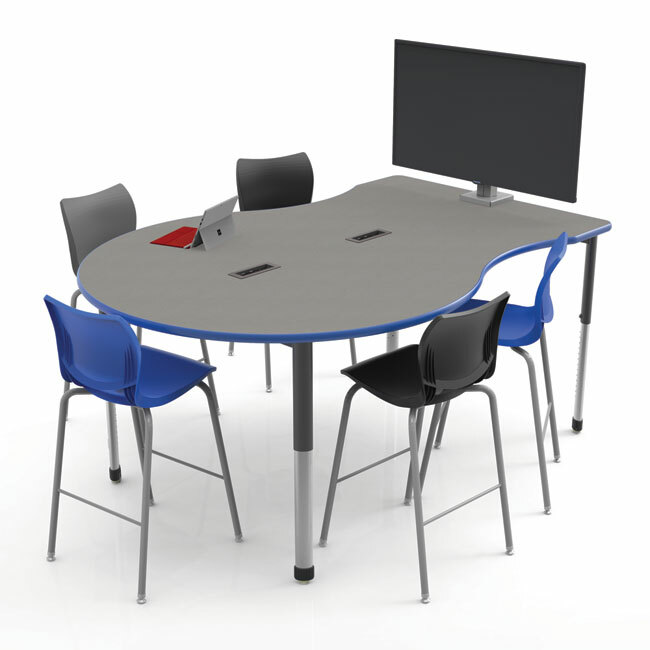 The Interchange Engage Multimedia Table by Smith System allows group interaction and can support an LCD monitor for tutoring and study conference calls while offering charging stations for laptops and tablets. Because every library is different in its layout and services offered, we invite you to check out our comprehensive section of Library Furniture and we are more than happy to help you pick out the items that will help your students and customers succeed! Are you experiencing a dramatic reduction in productivity while also being surrounded by substantial office clutter? 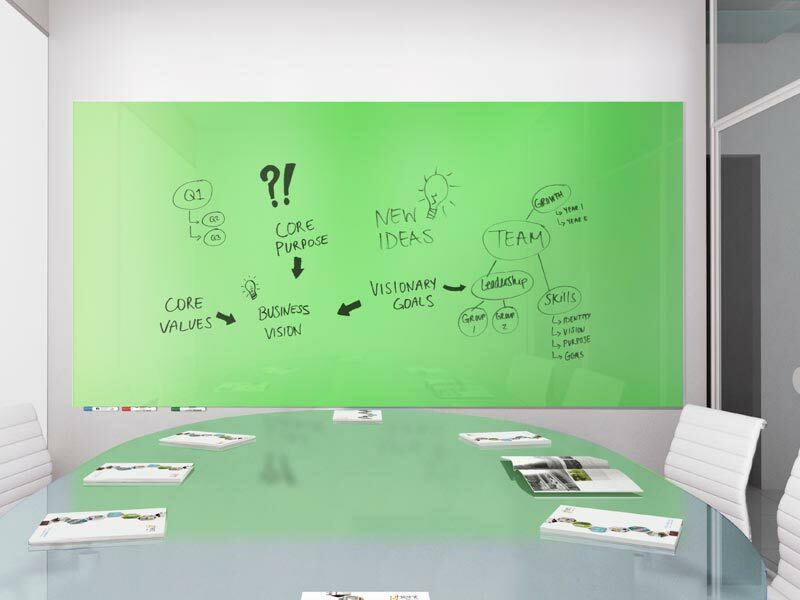 Create an atmosphere of organization and collaboration with Glass Dry Erase Boards! Brainstormed ideas, notes, schedules, and meetings can be quickly documented and easily viewed on a glass dry erase board. These come in a variety of sizes, colors, and shapes and work with dry/wet & chalk erase markers, which can be wiped clean. Glass dry erase boards can be hung in virtually any office setting for optimal information visibility to all employees. Memos, meeting minutes, important calendar dates, and last-minute company event changes can easily get lost in email communication but a glass dry erase board visually attracts curiosity so you can keep everyone informed.